I spent all last week fiddling around making another of my posters for films that don’t exist, this time for another Star Wars idea I had of casting Justin Long as Wedge Antilles. I posted this on Twitter but got absolutely no reaction to it at all, so I figure I’d post it here too, just because I can. The other cast I’ve added to the list are mostly random. Just so you know, Chiwetel Ejiofor is not meant to be the Mon Calamari pilot, I just ran out of space to fit him into the poster. In my storyline he is a humanoid alien pirate, maybe. Or something. 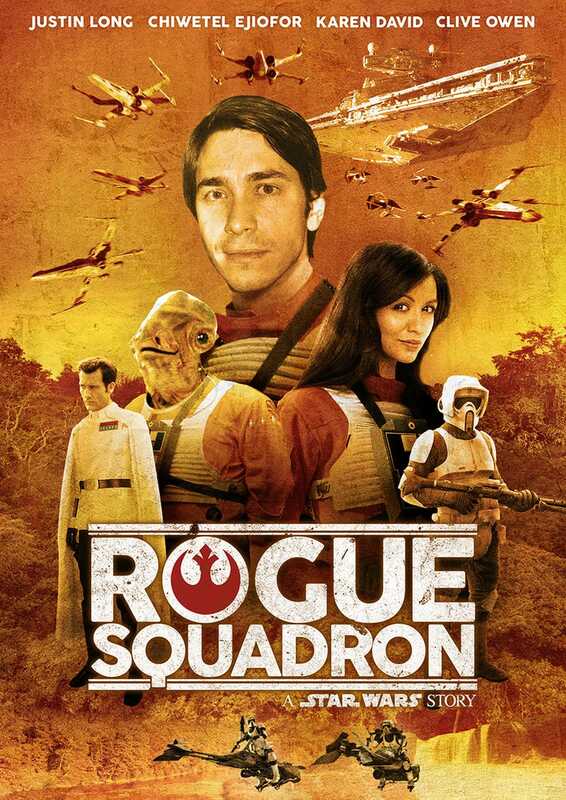 I don’t think they would make a Rogue Squadron movie, in case it got confused with Rogue One. Though maybe they could rename it to Red Squadron.